It's the first frozen pan pizza of its kind. A thick pan-style crust with a special seasoned baking pan creates a unique crust that's light and airy on the inside, golden crisp on the outside. Nobody delivers pizzeria-style pan pizza better - or faster! Red Baron and Howie Mandel have joined forces against delivery pizza’s purported deals and are showing Americans that Red Baron's new Pan Pizza is the real deal in terms of value, convenience and taste. Every week we have a family movie night in our home, though the exact day isn't a constant (sometimes we have it on Friday, sometimes Saturday) there is one thing that always is.....we MUST have pizza present! It's become a tradition of sorts. Generally we order in, but for the past few weeks now we have been enjoying Red Baron Pan Pizza....and I think we've found a new tradition! Ready in minutes, the fluffy crust (yet, still with the perfect balance of crunch) coupled with the delicious sauce of Red Baron's Pan Pizza is far more tasty than delivery. It's also incredibly convenient and budget friendly! 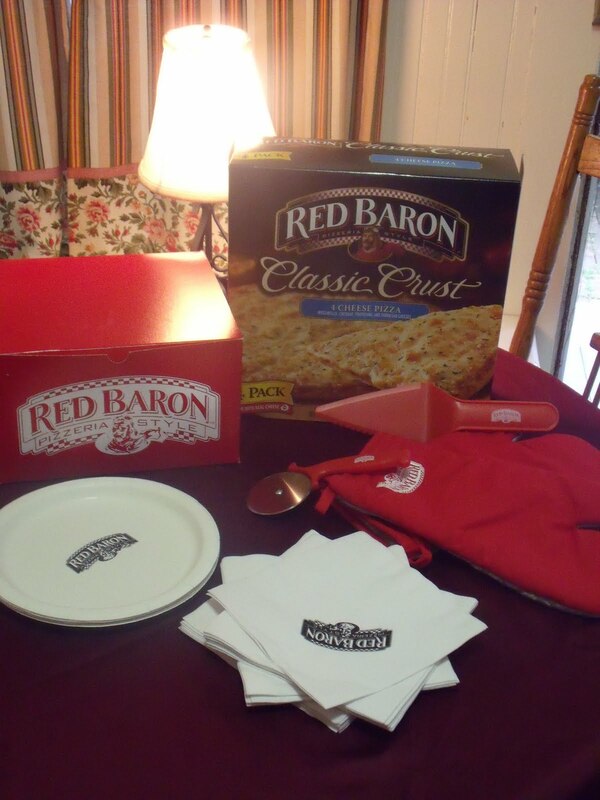 Whether your crunched for time and nead a tasty meal quickly, or your looking to create great family memories over a delicious FUN meal....I suggest you take the Red Barron Pizza challenge! It's the REAL DEAL (and deliciously so)! 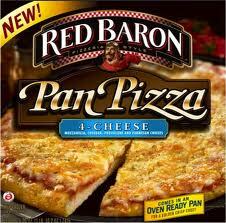 You can find Red Baron Pan Pizza and other delicious Red Baron products at a grocer near you. Ready to take the Red Baron Pizza Challenge? FIVE LUCKY READER'S will receive a Red Baron Prize Pack! Entry to this giveaway ends on August 18, 2011.Winner's are chosen randomly through random.org.The winner will be announced within 7 days of the giveaway ending and contacted through email. The winner will have 48 hrs. to respond or another winner will be chosen. I'm a gfc follower and I like red baron on fb. Follow Red Baron on FACEBOOK (Wendy T) and I'm a public GFC follower. I follow Red Baron on facebook. I am a fan of Red Baron on Facebook. I am following Red Baron on Twitter.